Fill your bouquets, attract pollinators and keep the color coming in your garden all season long with these 4 reblooming plants for your garden. Have you ever waited with anticipation for a plant to flower only to be disappointed with how quickly it fades? 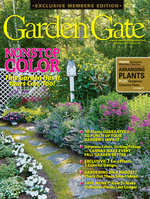 If you want to keep the color going without investing in annuals each year, add a few reblooming plants to the garden. Besides having lots of flowers to turn heads and add to bouquets, reblooming plants offer pollinators a helping hand by providing a consistent food supply. That’s especially important for migrating butterflies and hummingbirds late in the season. The mix of perennials and shrubs here are some of the best, and you can count on them to keep reblooming year after year. Reblooming plants often keep going on their own, but with deadheading, they’ll look better and produce additional flowers more quickly. There are different methods for deadheading based on the way the flowers grow. Check out the plants below and learn the best deadheading technique for each. Now scroll on for a few plants you can count on to keep your garden filled with color from spring to frost! 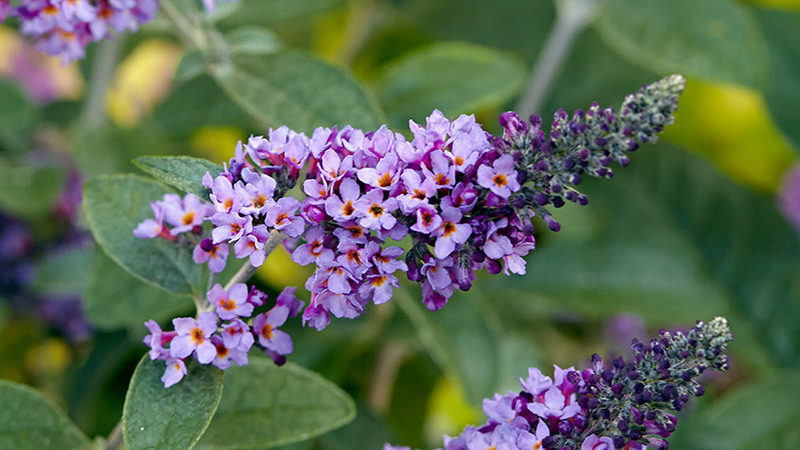 Butterfly bush is the perfect name for this shrub—butterflies love it! We grow ‘Glass Slippers’ in the photo above in our test garden and it’s covered in butterflies from summer to fall. This variety can grow up to 4 feet tall and 5 feet wide. But there are some smaller ones, such as the Pugster™ series, that grows only 2 to 3 feet tall and wide. 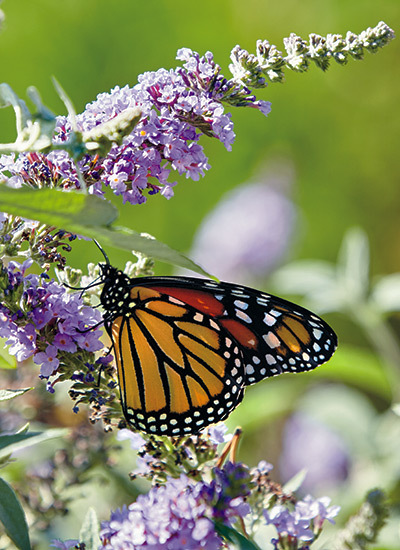 Give your butterfly bush good drainage—plants hate wet soil conditions—to ensure it survives. Where winters are cold, plants will die to the ground. Be patient in spring: Butterfly bush is slow to emerge. Flowering stems are branched and the center one usually blooms first. Remove it as soon as it fades so the side branches will take off. Azaleas are beloved spring-blooming shrubs, but did you know that there are a few that rebloom? The Bloom-a-thon® and Encore® series put on their biggest show in spring but also produce a lighter, but reliable, rebloom in summer and fall. 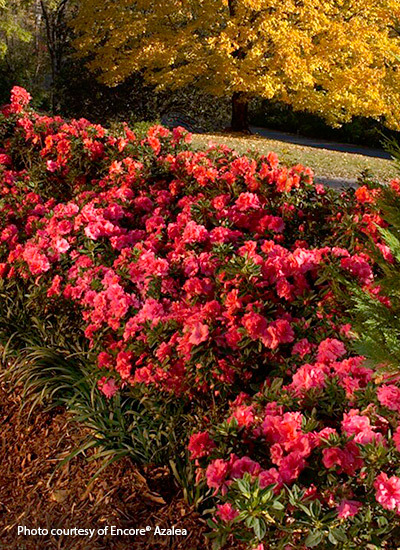 Reblooming azaleas don’t usually need pruning. But if there are a few branches you’d like to clean up, cut them off inside the foliage right after the blooms finish up in spring. Any later, and you may accidentally cut off developing flower buds. These shrubs are self-cleaning, which means new stems keep growing and cover the old flowers, so you don’t have to deadhead. 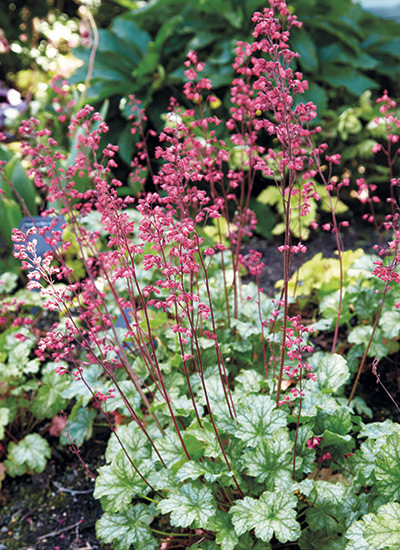 ‘Paris’ is one of the best reblooming coral bells you can find, with a big flush of small pink bell-shaped flowers in spring that hummingbirds love. Deadheading will help ‘Paris’ form new blooms until frost. The tidy mound of foliage stays looking its best with regular watering. But winter’s freezing and thawing temperatures can sometimes heave plants out of the ground a bit. If that happens, gently step on the crown in early spring, after the ground thaws, so the slender taproot goes back into the ground. Cut the long stems back below the foliage to encourage more to take its place. 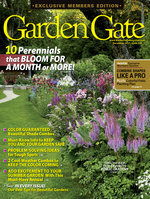 You don’t want to be without perennial geranium. Rozanne is one of the most prolific rebloomers, and has great heat tolerance, too. 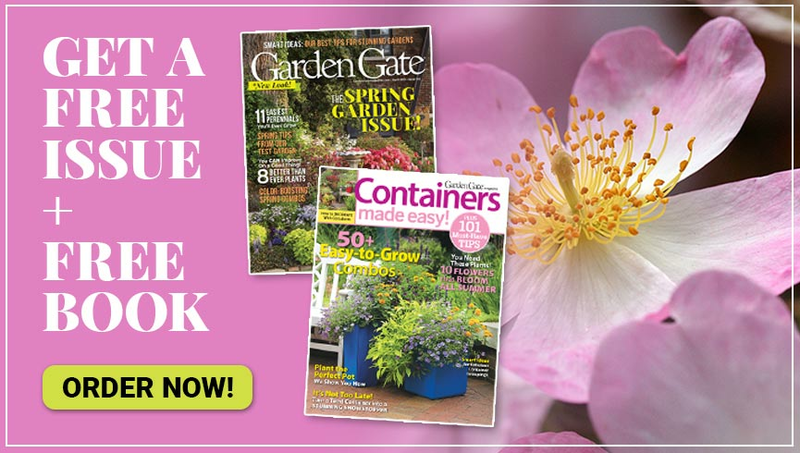 A garden workhorse, this variety produces 2-inch blue-purple blooms that last for weeks. Another reblooming variety is ‘Perfect Storm’. You can’t miss its magenta blooms with black centers and veins. 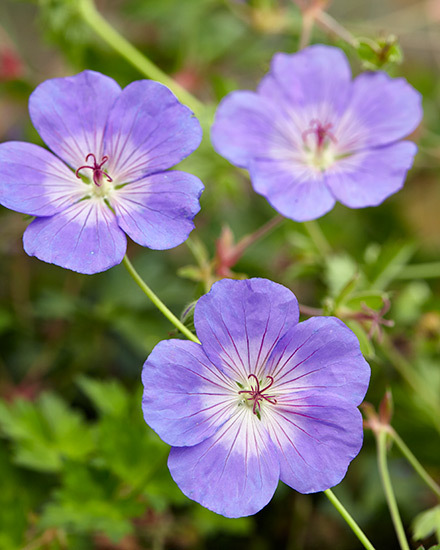 Perennial geranium is easy to care for. It doesn’t need a lot of extra water or feeding. Just apply a granular slow-release plant food in spring. As the first burst of blooms fades, perennial geranium tends to sprawl a bit. That’s when you’ll want to cut it back for a fresh mound of foliage and a second round of blooms in fall. Instead of deadheading each flower, cut the entire plant back to within a few inches of the ground when it gets leggy, usually in midsummer. This keeps the habit compact as well. Don’t let clay soil keep you from a great garden. Find the right plants that thrive in the clay soil of your region.